Free Mother’s Day Printable Party Pack! 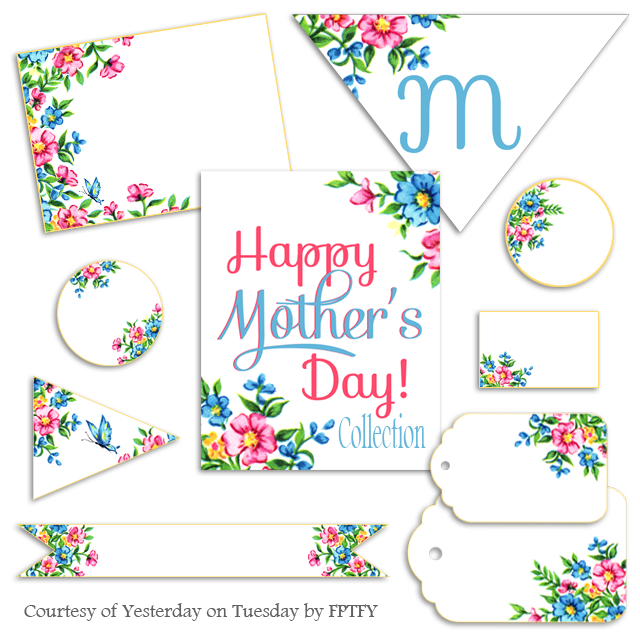 Hop on over to Yesterday on Tuesday to grab yourself this gorgeous Free Mother’s Day Printable Party Pack! Just looking at all the pretty colors makes me giddy! And not to mention it’s a super versatile collection.. It could be used for a birthday bash, a little “just because gift” gift tag, or even pretty printables for all of You lovely shop owners out there! as usual … gorgeous ♥ what a team you guys are! or 3 words…FAAAAAAAAAAAAAAAAAAAAAAAAAAAB U LOUS!!!!!!!!!!!!!!!!!!!!!!!!!!!!!!!!!!!!!!!!!!!!!! or LOVE IT!!!!! : ) sending hugs and love your way!!!! Love, love, love these! Thank you so very much!! Thank you so much for all these beauties. Kissess from Dominican Republic !